Pack an iPad with downloaded programs of all of your kids’ favourites, plus some they haven’t seen before to keep them interested. Pack colouring books, stickers and a small toy. Make sure you have some things they’ve never seen before to keep them engaged and interested for longer. Pack lots of snacks. Popcorn, crackers, muesli bars and anything else your kids love. Plane food may not always be to your kids liking so make sure you have some things you know they will eat. If you’re travelling with a toddler be prepared that they may not fit on the change table provided in the toilet on the plane. The easiest way I found was to use pull up nappy pants for the flight; as you don’t need to lay them down to change them if it’s just wee nappies. Pack disposable change mats so you can throw them out after changes when you do need to lay them down on the change table. DON’T FORGET LOTS OF NAPPIES & WIPES!! One nappy for every 2 hours of flying plus an extra couple. We use Little One’s nappies and wipes, which are exclusive to Woolworths. The nappies are so adorable and they have such cute patterns and are available for a price tag of $11. I will talk about it further down below! Don't forget spare clothing changes for both your baby and YOU! There's nothing worse than having to sit on a plane covered in food, spew or other bodily fluids from a poo explosion or nappy leak! If its possible choose to your seat, sit toward the front or right at the back of the plane for easier access to exits for boarding and disembarking. Allow for extra time (at least 45 minutes) of travel time when planning so that you are never in a rush. There is nothing more anxiety provoking than nearly missing your flight. DON'T FORGET your passports and ID. Even for baby for international flights you MUST have a valid passport with at least 6 months left on in it and even for domestic flights some airlines will ask for ID for your child - medicare card sometimes is enough but they can also ask you to produce a birth certificate or passport to prove their age. If you’re flying economy and you haven’t booked a seat for your baby/toddler ask at check in if there is any row with a spare seat. If you don’t ask you won’t receive. Pack a baby carrier so you have your hands free to lift your bags and carry things on and off the plane. We forgot ours and it was my biggest regret. Invest in a good travel stroller. The one we took folded down to a backpack size so we could take it as carry on! You will find European airports will always allow you to take your stroller to the gate unlike in some Australian airports but if you can’t carry on board you won’t get it back until your final destination. Having ours for our stopovers was an absolute lifesaver so Millie could easily nap and we could navigate through the airport. Ask for help. If you need some help ask the staff, the ground crew or a friendly stranger. If you suffer from anxiety or travel anxiety don’t forget about yourself. International airports can be overwhelming and some of the smaller domestic airports through Europe are chaotic so be prepared if you suffer. Pack your medication, have some calming music or positive affirmations written down, because it is just as important for Mum to stay calm as it is for baby. Don’t forget the pain relief for baby especially if they are at teething age or travel sickness medication if you or bub suffer from it. Speak to your health care professional about which one is right for you. DUMMY!! Use it – it has always been the best way to calm Millie on flights and to help her ears from hurting. If you don't use a dummy try a bottle, breastfeeding or a sippy cup on take-off and descent - the swallowing motion helps to keep their ears from hurting. Fly at night for international / long haul flights so that your kiddy stays in sync with their sleeping patterns and this will also help them avoid jet lag. Don’t put too much pressure on yourself or them though. I have found the more I stress about Millie’s sleep, the less she does. Fly around your baby’s nap time during the day for shorter, domestic flight so they will hopefully sleep for the flight. Airport Lounges - If you are flying long haul and don't fly business but can afford to pay for access to the lounge - DO IT! I promise it will make the world of difference for you all if you can shower, eat, grab a coffee (or wine) and find a comfy spot in a quiet corner to rest and put baby/toddler to sleep. A lot of big international airports also have lounges which you can pay by the hour to go in. You are able to take an extra “baby bag” as carry on and can also take liquids and food for baby only. Remember you can always take baby items such as a pram, car seat or bassinet but they don’t allow for an extra checked in bag when travelling with an infant. Most airports have a family line for customs and security these days so if you can’t see it ask someone who can guide you. It cuts down waiting time by so much and their staff are more understanding of your situation (and one million bags). PACK AS LIGHT AS POSSIBLE!! Just do it. My bag was way too full and super annoying at airports and the whole trip!! If you are a member of a frequent flyer program link it to your credit card so all your daily purchases add up to points. Points will add up quickly if you're paying bills etc. and eventually you can upgrade your tickets to business which means more room and relaxation for all! Travel insurance for the whole family - don't forget it because bags, laptops and personal belongings can go missing, get stolen or broken very easily. Hot tip: Check with your bank/credit card company to see if you have any travel insurance included as part of the credit card. When looking at and booking accommodation for your holiday, remember to see if they have a cot or extra bed for your bub. A lot of motels in Europe didn’t have one so if you don’t like co-sleeping then it’s best to check first. You can always take your own but I wouldn’t want to have to lug it around everywhere. Book self-contained apartments where you can. The best places we stayed were those with a washing machine and kitchen. Washing quickly piles up when travelling with toddlers and laundry mats are not where you want to be spending your days. It’s also nice to have a kitchen to make breakfasts and store fruits and fresh foods for your baby. Consider the weather and noise where you’re staying. If it’s noisy outside on a busy street and there’s no aircon it can make for tricky business trying to get baby to sleep. Book a motel in a convenient location where it’s easy for you to walk to cafes, restaurants and sights so you’re not constantly having to find or take transport with your toddler. If you can’t book an apartment try to stay somewhere that breakfast is included. This will make morning so much easier. It can be difficult to find anywhere to eat before 9am. Public toilets are few and far between overseas and a lot of the time they don’t have change tables so be prepared to become a in pram nappy changing expert. Pack disposable change mats for hygiene. Pack lots of little disposable nappy bags, as you may not have a bin handy at every second. Little One’s now have a super handy pack that looks like a wipe packet! If your toddler can stand I would recommend using “nappy pants” for times when you don’t have a change table and it’s just a quick wee nappy. So much easier to get on and off. Use normal tab side nappies for change tables and in-pram changes. 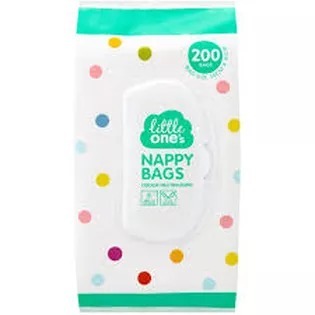 Take lots of fragrance free nappy wipes, which are gentler on their soft skin especially in the heat and also better to use for wiping faces, hands and your whole world, which you know you will be! Did you know that Little One's baby wipes have been awarded the Canstar Blue 'Most Satisfied Customer 2017' award for Baby wipes. I have been using these wipes forever and can honestly say they are my favourite! You can head to Woolworths website HERE to see the full “Little One’s” range. HAND SANITISER! Public toilet or not sanitiser will become your best friend while traveling. Pack as many of your own nappies as you can fit. They are quite expensive overseas unlike these Little One's nappies which are only $11 for 50. Tip: The best way I found to pack them is to separate them and pack them flat between clothing and not as one bulky brick. Pack the iPad so you can get some time to enjoy the company of your partner at a café or restaurant and to help stop them tearing the place apart. Pack snack and plenty of water for when you’re out and about. Ask to sit inside or in the non-smoking areas. It’s the one thing about Europe that I hate. They don’t have strict smoking laws and are allowed to smoke outdoors where food is served. Invest in a good quality travel stroller/pram to navigate and handle streets of Europe. A lot of the streets or footpaths are cobblestone and uneven so your cheap stroller will make for extra hard work. Take the baby carrier out and about with you especially if you know there are a lot of stairs. The European summers are super hot and the sun is strong so don’t forget to pack the sunscreen, hat and a wrap to cover little legs in the pram. A lot of overseas restaurants don’t have kids menus so if you want to avoid expensive bills every time feed them first and order them a side of veggies, chips or share some of yours when there to keep them entertained. We also found by feeding Millie first and then heading to a later dinner she would sometimes fall asleep! WINNING! Hot tip: Pizza provides a lot of quiet time for you while they stuff their cute little face and is super cheap in Europe. Let them eat the pizza! Keep in mind most European restaurant’s don’t open for dinner until after 7 – 7.30 and it’s super normal for dinner to be late around 9 or 10pm. Bathe and feed them before heading out for a walk before dinner and you never know they may just fall asleep in the pram. Try to relax and go with the flow. Ask for a seat where you can fit the pram next to the table. We found keeping Millie in the pram for as long as possible was the best way to keep her calm. We would give her the iPad, a snack and cover the pram with a wrap so she wasn’t as distracted. When out and about at the sights keep your eyes open for "family lines" some tourist attractions will allow for families with prams ti avoid large cues. Book a private car and car seat if you don’t wish to be holding your baby in the back of a taxi. It’s not a legal requirement for them to be in a car seat so no taxis will have them. Where you can hire your own car and drive between destinations. This gives you more freedom, time and means you can travel with your toddler safely in a car seat. Allow that EVERYTHING is going to take longer with a toddler in tow so make sure you plan for extra time between attractions and bookings. Finally, the biggest piece of advice I can give you is to RELAX! Let go of your normal routines, expectations and life. You cannot control every moment and there will be things that go wrong but it’s not the end of the world. Allow your toddler to explore and enjoy the world, the new culture and other people. Children are super adaptable to new surroundings and situations and you will be surprised by how much they can handle. Letting them experience the world around them will be HUGE for their independence and development. The thought of travelling with Millie honestly scared me so much and I thought I would not cope with my anxiety but in fact it was the complete opposite, she was brilliant, adapted so well and absolutely flourished by having our full attention for 6 weeks straight with out the distraction of work and life. Yes, there were definitely tantrums and meltdowns at dinner times and a couple of nights of little sleep BUT watching her explore, learn and grow was the most amazing experience of my life – I saw my little baby turn in to a little girl and to me that experience is irreplaceable and we have created memories we will never forget. I hope this blog has helped answer your questions and you have taken some tips away from it! Please comment below or on my social media with any other questions. This blog is part of a collaboration with Woolworths “Little One’s” brand. I would never promote something I don’t genuinely love or use myself.